Bodrum Yacht Services offers a turn-key gulet design, construction, and delivery program. Our job is to implement the design of your gulet with the right boatyard and ensure that work is consistently on schedule and within budget according to the specifications you have ordered. We supply quotations for your project from reliable boatyards and estimate the cost according to the finishing you designate. We update you weekly with technical reports and photos of the progress, and are in constant communication about decisions and choices to be made. Twenty four hour digital surveillance ensures that you can see work on the yacht on broadband. 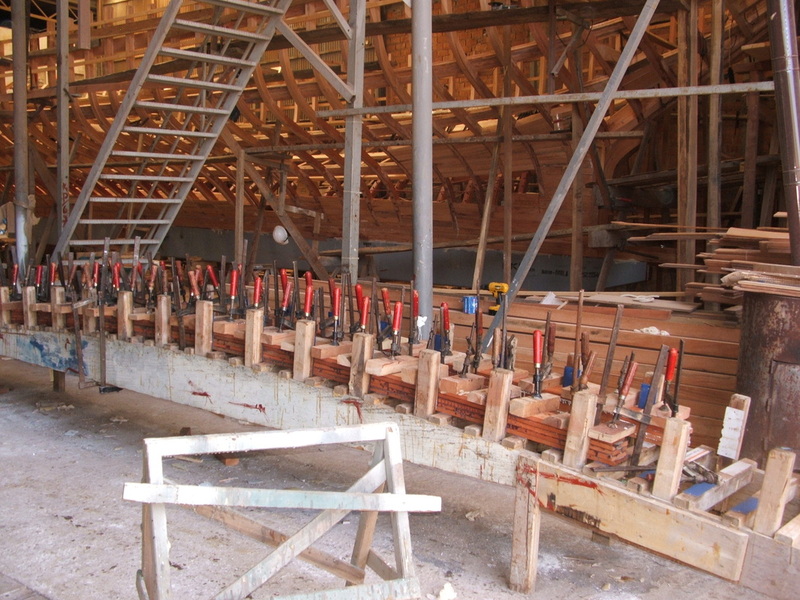 The process of commissioning a custom built gulet, tirhandil or ayna kic from a local Bodrum boatyard is well, exciting. 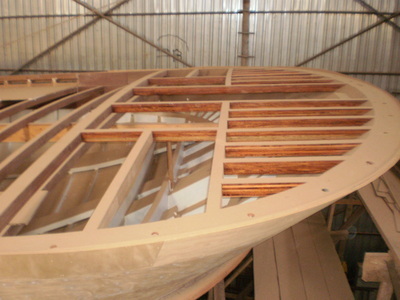 The choice of boatyard is the single most important factor determining the quality of the final product. Finding the boatyard best suited to one's needs is paramount and should be very well researched. It is vital that the prospective buyer communicate the primary function of the boat and understands the limitations of some designs and materials. The buyer and builder can then be expected to work with a local naval architect who will draw up preliminary plans based upon the owner's requirements. Some boatyards are better qualified than others for sailing yachts. Another very important decision for potential buyers to make is whether to commission a new gulet or to buy a used vessel. The advantage of commissioning a new yacht is hands-on involvement from the design phase to launch and ownership. There are also advantages to consider used gulets if they have been well-built and well-maintained. It is vital that prospective buyers have the full history and a marine survey of any used gulets being considered. One of the biggest dilemmas facing local boatyards is that of time. 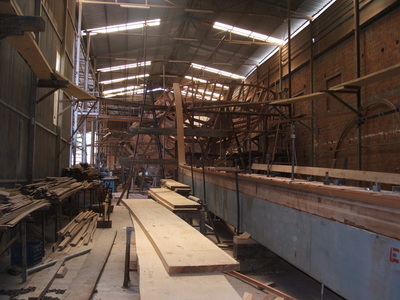 An excellent wooden boat absolutely cannot be rushed; time must be factored in for locating the right timber and scheduling the best workers for each phase of the construction process. Gulet, Ayna Kic or Tirhandil? It all depends on what you want to do. The tirhandil is the superior vessel for sailing and handling, while an ayna kic makes maximum use of space below deck. But for pure aesthetic pleasure, the Bodrum-built gulet by a master craftsman takes the prize. The average length of gulets built in the 1970s was ten meters, in the 1980s twenty meters, and in the 1990s thirty-meter boats were the norm. 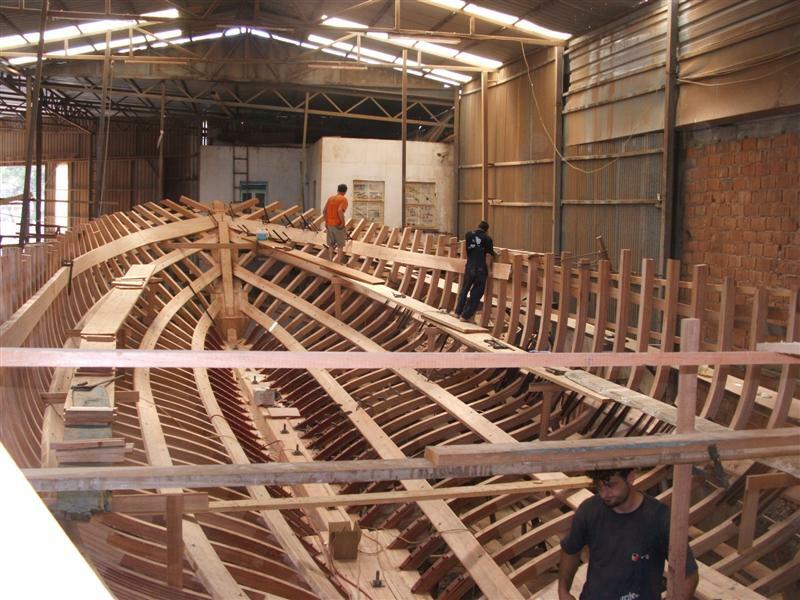 Bodrum boatyards are currently building vessels 40 meters and longer, at which point they may be better deemed "ships". While most prospective buyers have an idea of what size boat they wish to build, it remains important to check that the boatyard chosen has the facilities to accommodate the desired size, as well as previous experience with similar designs. 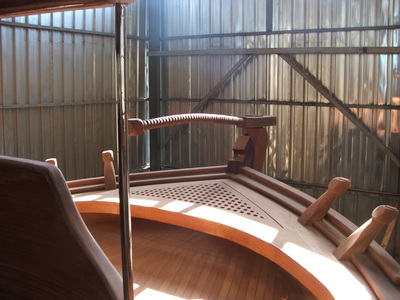 While there are many types of wood suitable for the construction of wooden boats, gulets in Bodrum have traditionally been made of pine, African mahogany and Iroko (West African Teak). In recent years, epoxy laminate (mahogany) has been the building process of choice by most builders for strength and durability. Pine (pinos strobus, pinos resinosa, pinos nigra, pinus palustris) was originally one of the most abundant local wood suitable for building gulets though it is no longer a popular material with which to build. As pine was widely available along the interior of the Aegean coast and the least expensive material available for builders, many older gulets are constructed of pine. The drawback of pine hulled gulets is vulnerability towards worms and rot, though pine hulls which have been well built and well maintained can still be good value. Perhaps the most durable but also the heaviest and most expensive wood used to build gulets is Iroko. The natural oils found in Iroko prevent water absorption, impede shrinkage, and many feel that it becomes increasingly beautiful with age and use. However, the weight of Iroko can alter the sailing and handling of the vessel and must be factored into the design of the boat. With the recent trend towards progressively longer, more luxurious gulets, Bodrum builders began to use alternatives to white pine for increased strength and durability. Imported African mahogany became a favored material due to its medium weight and resistance to decay. Mahogany is available in many different grades and qualities and good quality mahogany also makes an excellent exterior finish material. The best mahoganies are Khaya ivorensis, Sipo utile, Sapeli aboudikro and Niangon nyankom. 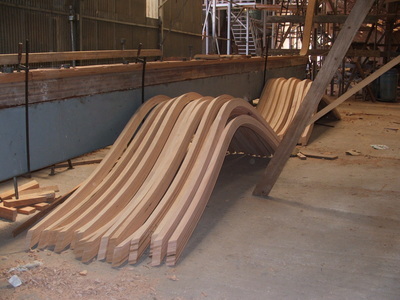 There are also varieties of mahogany not well suited for building gulets, which reinforces the fact that choice of reputable boatyard and suppliers is of paramount importance in the commissioning of a gulet. Some premium builders prefer combining the durability of mulberry or oak frames for gulets with a mahogany or epoxy laminate veneer overlay, but working with these particular woods involves a longer aging process as well as one of the increasingly rare craftsmen with experience using them. New techniques have allowed for excellent results with building steel-hulled gulets in Bodrum. The largest steel gulet built to date is 50 meters long. There are now a number of boatyards specializing in steel construction in Bodrum. Epoxy laminate construction has been the choice in recent years for gulet construction due to durability. The normal is 4 layers of alternating mahogany veneer create an extremely strong hull for modern gulets. Mahogany plank on frame with a mitred and glued joint is also a common method and preferred by some. Another decision which the buyer needs to make is that of certification. The type of certification will depend on whether the yacht will be exported for commercial or private use outside of Turkey and for future resale value. Turkish Lloyds, R.I.N.A. ,ASA and U.K. Lloyds specifications for either the hull or the entire yacht can be applied in selected boatyards. Depending on the factors above and the electronic and other equipment that is desired, a wooden boat of 24m plus can be expected to cost between 1500,000 Euros and 6,000,000 Euros with a delivery time between 12 and 24 months.